While the NPS consists of presidential homes, famous monuments, and even the birthplace of the nuclear bomb, it’s probably best known for its national parks. These locations are highly valued for their natural beauty, awe-inspiring geological features, and unique ecosystems. My wife and I loved our journey two years ago to visit the Grand Canyon, Zion, and Bryce Canyon national parks. Hiking, sightseeing, and just standing with our jaws dropped made for a wonderful vacation. 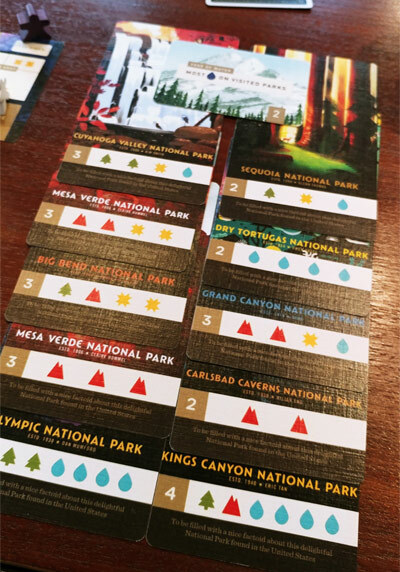 So it’s great that Keymaster Games is teaming up with Fifty-Nine Parks to create a board game to celebrate some our America’s greatest natural treasures. The Kickstarter for PARKS begins on January 28th and lasts about a month, so go back the project for your own copy today. You can check out a quick look at the game with Mattox Shuler over on our YouTube channel!